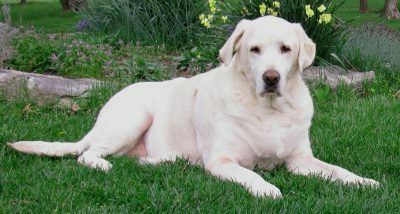 Two months ago, Abby, my yellow lab, underwent lipoma surgery. The mass the vet removed was 12 lbs. and was encapsulated, but it had been hit and bruised, so when they performed the surgery, Abby bled heavily, causing her to have a pretty tense surgery and long recovery.